The integration between Microsoft System Center products is always one of the marketing promises. A lot has been done in that direction within the last years. 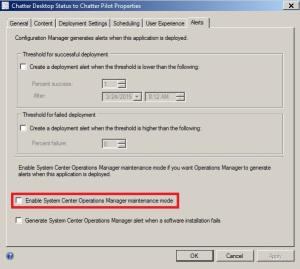 One topic is still not working as expected, which is related to the interopability between SCCM and SCOM. 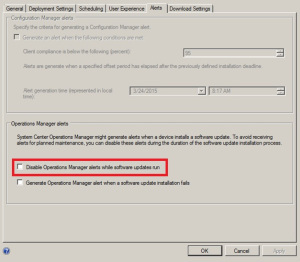 Short explanation: If you install software or software updates through Configuration Manager you normally want to disable the monitoring (alert creation) in Operations Manager. The problem is, that it looks like the function is implemented, but it is not fully implemented. 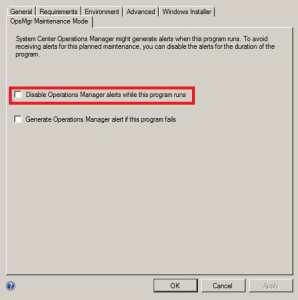 See System Center 2012 Operations Manager Unleashed. The question is, what is happening in the background when you select this option?